How old are children in your Musikgarten classes? 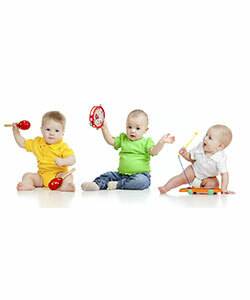 The Family Music class is for children newborn to age 3. The Cycles class is for children who are 3-4 years old. Are parents or adults required to attend with the child? A parent, grandparent, or nanny is required to attend the Family Music class with the baby or toddler. An adult is not required to attend the Cycles class, but may wish to observe from time to time. Regarding Musikgarten, where can I find more information about the philosophy and curriculum of this unique music program?